Where will your equipment be primarily used? What is the required Working Height? What is the required Lift Capacity?? What is the Maximum Machine Width? Offering a wide selection of aerial lift equipment including boom lifts, scissor lifts, scissor jacks and man lift models. We fully maintain our lift equipment whether it’s a rental or a purchase. Our team is available to help your fleet today. With CanLift as your preferred scissor lift, aerial platform, or boom lift provider, you’re guaranteed exceptional customer service and better job site safety with our responsive attention. Our main focus at CanLift is to ensure you’re satisfied with your purchase and build rapport with all our clients. Due to partnerships with various companies across North America, we are able to provide all boom lift, scissor lift, and aerial lift equipment products at the lowest price possible. Contact our sales and rentals teams today to arrange a free quote! We look forward to developing a great relationship with you and servicing all of your aerial platform needs. 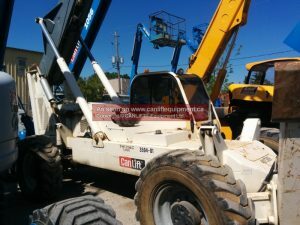 As one of the leading independently-owned lift equipment providers in Ontario, Canada, CanLift Equipment Ltd sells quality boom, aerial, and scissor lifts. We provide a variety of makes and models, and we deliver immediately, ensuring all your equipment needs are met. From boom lifts, scissor lifts to aerial lifts we’ve got you covered. Rely on CanLift’s team of experts to support and navigate your aerial work platform purchase at the Canadian retail, wholesale, or international export level, always ensuring a prompt delivery so you can get moving. All CanLift employees are knowledgeable and specialize in a vast amount of boom lift equipment, aerial platforms, and scissor lift sales, rentals, and service across Canada, the USA, Europe, and the Middle East. Our commitment to offering superior one-on-one customer service and aerial platform products sets us apart from other aerial lift equipment retailers and we are confident our wide selection of available new and used aerial work platforms will exceed your expectations. Aerial boom lift equipment supplied at CanLift is some of our most versatile in stock. We carry all types and sizes of boom lift, from 30-foot electric to 4x4 86-foot diesel machines. Aerial lifts can be found in both electric and diesel aerial work platforms. 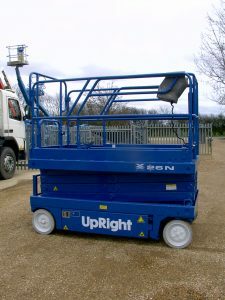 They have rough terrain 4x4 capabilities and can be operated at 25 to 56 feet heights. CanLift provides one of the largest standard and electric hydraulic scissor lift selections in Ontario, Canada. Choose your preferred aerial scissor lift today. Aerial lifts, scissor lifts, and boom lifts are flexible and adaptable, so they are efficient on almost any job site. Traditional scaffolding is outdated and difficult, whereas aerial platforms create a customized working area. Many of these aerial lifts can even be driven safely at full working height, allowing the operator to travel different terrains freely and quickly. Find your ideal aerial boom lift equipment at CanLift, so you can ensure the job is done safely and efficiently. At CanLift, our team is knowledgeable and experienced with all brands of aerial lift equipment. We have a significant selection of boom lifts, scissor lifts and other aerial platforms with leading manufacturers so you can get the right tool for the job. We pride ourselves in our prompt and efficient worldwide importing, exporting and shipping of all boom lift, aerial lift, and standard, electric or hydraulic scissor lift equipment. CanLift is dedicated to offering only the best available diesel and electric scissor lifts, boom lifts, and aerial lifts on the market – and providing quick, reliable delivery. Request a quote today.